Aktivit is the second best company in the region! 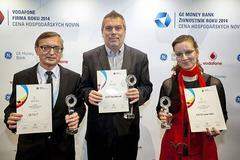 Aktivit Ltd. finished second in competition Vodafone Company of the Year 2014 from Liberec Region. 225 companies participated in the competition, which is open for small and medium companies. The award ceremony was held on September 23 in Liberec.